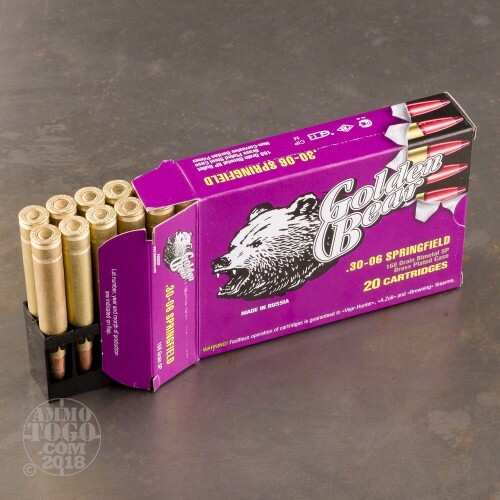 This package contains 20 rounds of Golden Bear .30-06 Springfield ammunition. 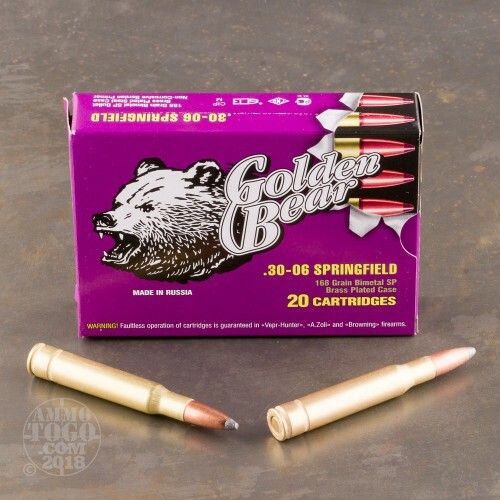 Golden Bear ammo is manufactured by JSC Barnaul Machine-Tool Plant in Russia. Considered the premier ammunition factory in Russia, Barnaul supplies most of the ammunition for the Russian Military. 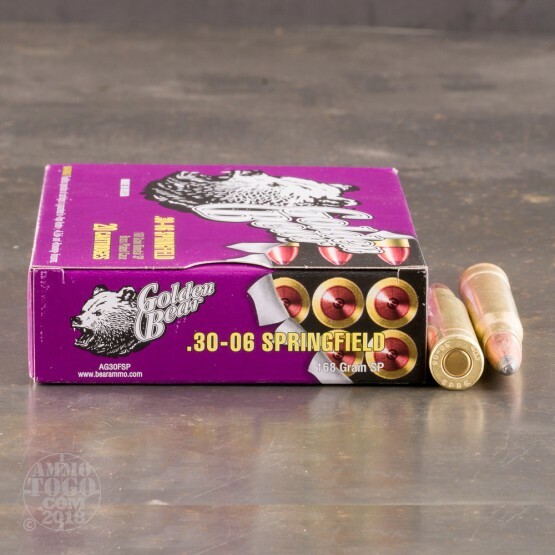 Each round is loaded with a 168 grain soft point projectile. Delivering impressive mushrooming, these hard-hitting loads are an excellent option for hunting big game. Featuring a unique brass-plated steel casing, these loads provide all the function and reliability of brass cases but at a fraction of the cost. The brass plating delivers smoother feeding and extraction than standard steel-cased cartridges. 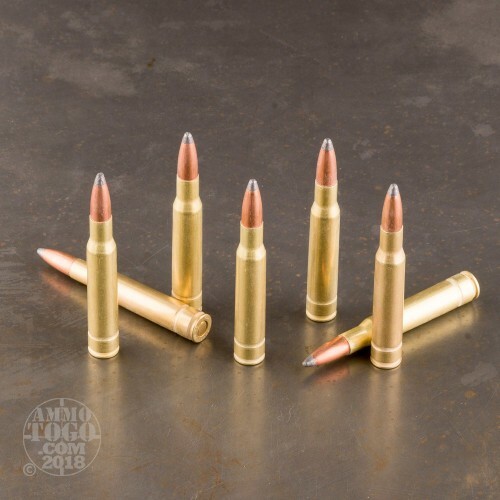 These rounds look, function, and perform just like brass-cased rounds. You’ll be hard-pressed to tell the difference without looking at the price tag. These factory fresh rounds are non-corrosive and Berdan primed. Each round is sealed for extra moisture protection, making them perfect for long-term storage. Leaving the muzzle at a velocity of 2545 feet per second provide and economical option for hunting without compromising on quality or performance.